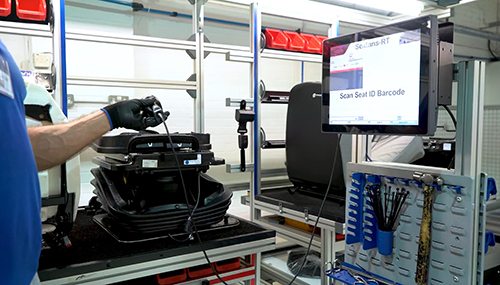 Sorion’s Pick-to-Light, guided assembly and End of line testing technologies implemented to minimise errors and improve productivity on KAB Seating’s new production line. 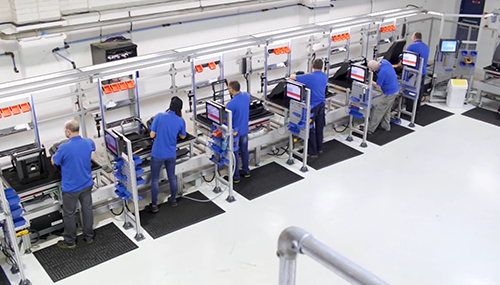 Sorion were tasked with the design and supply of assembly process control & electrical test equipment for 3 kitting stations, 20 process stations and 3 electrical test stations on their new Genesis production line. The equipment had to be designed to minimise errors and improve productivity on the new production line with rigorous quality standards and demanding production targets. Overall traceability of the assembled product was also part of the brief. Following an in-depth market consultation, KAB Seating concluded that Sorion was the best supplier to move forward with based on previous good experience of working with the company. 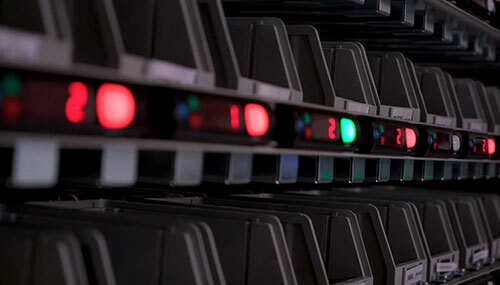 The parts kitting process is visually managed by Pick-to-Light colour coded system, integrated into the kitting stations with a capacity of 336 bins. The system guides the operator to retrieve the right components and quantities at the right time, maximising efficiency, while being flexible enough to adapt to constant changes in production systems. The assembly process is designed to be repeatable at the highest standard with built-in error proofing techniques at each stage of the process – only quality products passed forward. Each station is controlled by Sextans software, running on a touch screen PC with visual prompts for the operator to precisely follow each step of the build sequence. If there is any deviation from the specification the system will simply not let the seat pass forward. 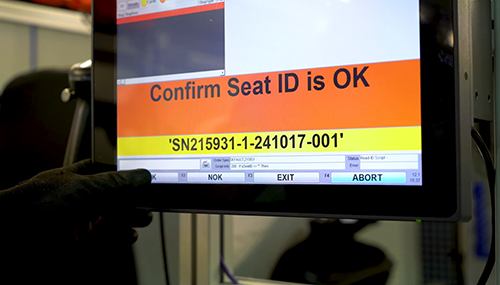 Once the assembly is complete, the seat is fed via the conveyor system to the end of line inspection stations for full seat functionality tests to be undertaken. 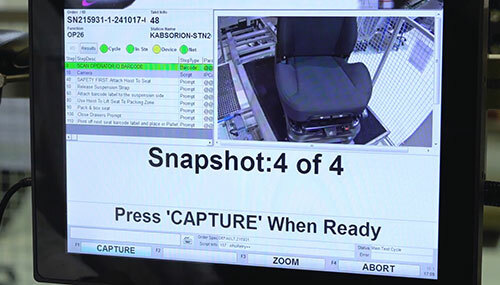 Photographs are taken of each completed seat and all build and test data, such as serial numbers and tooling results are communicated back to our OrionTM database which, via a web browser, allows for bespoke quality assurance and performance reports to be produced. The analysis and reporting functions of OrionTMallow location and assembly based views of the stored data. 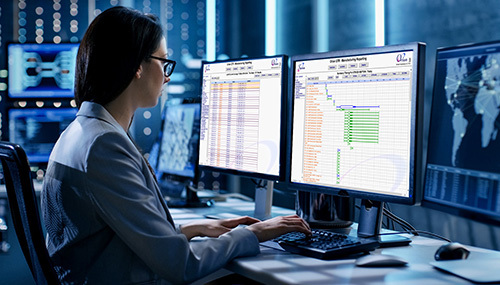 The system shows latest and all results for a specific assembly, the most common failures by station / zone and provides parameter access to examine the historic trend of value data (e.g. DC tooling fastening torque). KAB Seating specialises in the manufacture and supply of practical work seats for the commercial, construction, agricultural, industrial, mining, coach and mobility sectors. If you would like a quote for your pick to light or guided assembly project, please give as much information as you can and we will get back to you.